Dr. Daniel Pauly at a White House event on citizen science. The event, held on September 30, 2015, and hosted by the White House Office of Science and Technology Policy (OSTP), and the Domestic Policy Council, aimed to “celebrate the successes of citizen science and crowdsourcing,” and “raise awareness of the benefits these innovative approaches can deliver,” according to the White House website. Dr. Pauly was there to discuss FishBase, the global database of fish he co-founded in the 1990s that is now the largest and most accessed online database for fish in the world. Each month it receives 50 million “hits” from over half a million unique viewers. While experts initiated the database, it functions, in large part, from the input of thousands of citizen users. “Much of the data sets in FishBase were initiated by communities from the bottom up, and then later, were picked up by academics,” said Dr. Pauly in an interview. FishBase includes descriptions of over 33,000 species, and over 300,000 common names in almost 300 languages, 55,300 pictures, and references to 51,600 works in the scientific literature. “FishBase has gathered a lot of data from its users—from photos, common names, forums and blogs. There is a huge openness of the database, and it is going to increase” said Dr. Pauly. The forum, which was titled “Open Science and Innovation: Of the people, by the people, for the people,” highlighted the work of several other innovative citizen science endeavours. For instance, 28,000 astronomy enthusiasts have made 1.4 million classifications of potential interstellar debris using NASA’s Wide-field Infrared Survey Explorer; and 5,500 active participants have helped record over 1.5 million observations related to plants and animals for the USA National Phenology Network, leading to contributions in 17 peer-reviewed publications. “Citizen science and crowdsourcing projects can enhance scientific research and address societal needs, while drawing on previously underutilized resources,” said the Assistant to the President for Science and Technology, John P. Holdren, in a memorandum. Drawing on his experience with FishBase, Dr. Pauly agrees. “Governments are realizing they cannot progress in many areas without citizen participation. The idea of citizen science is not only compatible with democracy and the environmental sciences; it is essential for them,” he said. A complete video of the event can be found here. Links to Facebook pages for FishBase, and its partner organization SeaLifeBase. Dr. Box from the Smithsonian Institution presents the Fish Landing app during a workshop at the FishBase symposium in the Philippines associated with the 25th and 10th year anniversaries of FishBase and SeaLifeBase (Sea Around Us partners). The workshop was co-sponsored by the FishBase Information and Research Group (FIN), Oceana-Philippines, the Bureau of Fisheries and Aquatic Resources (BFAR) of the Philippine Department of Agriculture, and the Sea Around Us. On the northern coast of Honduras local fishers noticed the amount of fish they caught was decreasing year after year. What’s more, it was becoming increasingly difficult to catch the amount of fish they needed to make a living. Compounding their plight was the fact that because their catch went to local buyers and then on to domestic markets—no real catch data were available. Without these data, it is incredibly difficult to manage a sustainable fishery. A new app could help change this. The Fish Landing app helps local buyers track the species and size of fish caught, fishing spots frequently used, and the profiles of local fishers. The app was developed by a team of researchers from the Center of Marine Studies (CEM), and the Smithsonian Institution, led by Dr. Stephen Box from the Smithsonian. “The wealth of data which will be collected using these tools will greatly contribute to data analysis, and can be a primary basis for any plans related to fisheries management and sustainability,” said Dr. Box at the workshop, which was organized and moderated by Dr. Deng Palomares. The researchers initially used a paper-based system to try and track catch data, where fishers, upon returning from the ocean, would fill out forms detailing the number and species of fish they caught. At the end of each month these papers were given to researches who then laboriously digitized and analyzed the data. While relatively effective for some small communities, on a larger scale it was highly inefficient. The Fish Landing app helps to streamline this process. Local buyers—who receive the majority of fish from the fishers—use an Android phone or iPad to keep track of the data. Through its picture-based operation system the app is easy to use. But why would buyers want to participate? The app is a one-stop shop for business purposes, where buyers can track fish caught, money earned and paid, and who their clients are. Fishers also get more precise information about what and how much they catch and earn, and governments are given data that can be used for fisheries statistics. Data packages to be shared with governments or management agencies can be customized and adjusted to local needs and sensitivities. Furthermore, governments will finally be able to understand the large role that small-scale fishers play in contributing to the economy and food security. At the workshop where Dr. Box presented the Fish Landing app, two other closely-associated tools were also presented. These included a decentralized registration system that easily and rapidly creates “fisher identity cards.” Often, these are the only pieces of ID that the fishers possess. The other tool is an onboard, cheap, self-contained, and solar powered GPS system that will help in understanding the amount of time fishers spend in certain waters, the competition for fishing grounds among fishers, and the seasonal patterns in seascape use, among a suite of other factors. 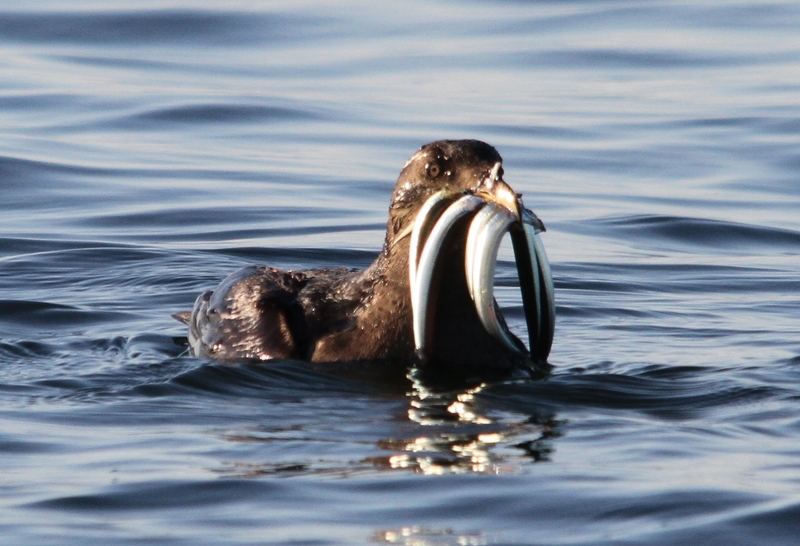 Daniel Pauly, Principal Investigator of the Sea Around Us, believes these tools together could transform the accumulation of fisheries data. “These three items could revolutionize data acquisition for and by artisanal fishers in developing countries, including the Philippines where the presentation by Dr. Stephen Box generated considerable interest,” he said. Dirk Zeller, Senior Scientist of the Sea Around Us, thinks these tools are a state of the art approach that not only improve data collection but also the management of small-scale fisheries, which recently received clear recognition through an endorsement by the Committee on Fisheries and Aquaculture (COFI), of the FAO’s Voluntary Guidelines for Securing Sustainable Small-Scale Fisheries in the Context of Food Security and Poverty Eradication. “These tools and their associated direct and easy access to the data generated, will also empower local communities in their engagement in small-scale fisheries management,” he said. The app and related tools are also being tested in Myanmar. Interest from the Philippine government and some NGOs expressed at the workshop may lead to the use of the fisheries app package, at least in some pilot areas. Dr. Mary Ann Bimbao (Executive Director of FIN) and Dr. Deng Palomares (Senior Scientist of the Sea Around Us) are in follow-up discussions with some members of the BFAR and Oceana-Philippines for future work. 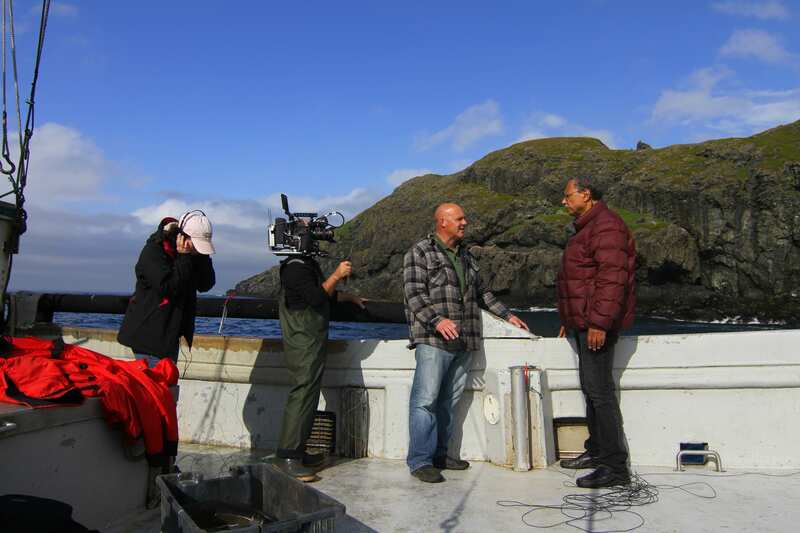 Daniel Pauly recently returned from Newfoundland, Canada, where he was working on an international fishing documentary. The film, produced by the Khaled bin Sultan Living Ocean Foundation near Washington D.C., will be filmed in five locations including Honduras, South America, the U.S., Bahamas, Senegal, Africa, — and, of course, Newfoundland, Canada. As Pauly explains, the film explores the role of small-boat fishermen and how they contribute to the economy. Pauly is the film’s on-camera investigator who also serves as link between the countries. The film is currently in production and is aiming for release in spring 2016. A senior researcher with the Sea Around Us recently attended a three-day meeting earlier this month to discuss conservation of biodiversity with Antarctic experts in Monaco. Deng Palomares, who recently worked on an Antarctic report for the Sea Around Us, said the meeting was an important step in identifying and assuring that Antarctic research focuses on the gaps in current data. 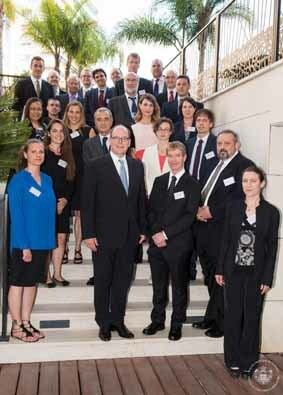 Co-organized by the Government of the Principality of Monaco, the Centre Scientifique de Monaco, SCAR, and Monash University, the meeting was meant to assess whether the conservation of the biodiversity of Antarctica and the Southern Ocean is meeting the targets of the Strategic Plan for Biodiversity 2011-2020. The meeting also aimed to provide guidance for action that can effectively help deliver further conservation successes for the regions. Another goal was to identify key areas for work and indicators to help guide that work, which resulted in the Antarctica and the Strategic Plan for Biodiversity 2011-2020: The Monaco Assessment. “The initial expert assessment indicates a biodiversity outlook for Antarctica and the Southern Ocean which is no better than that for the rest of the globe,” said professor Steven Chown of Monash University, who co-organized the meeting. HSH Prince Albert II of Manaco, who closed the meeting June 10, emphasized that activity in the Antarctic region — including not only fishing and tourism, but also some scientific activities — has drastically increased. Organizers and attendees left feeling hopeful that there will be effective action over the next five years to dramatically improve the state of biodiversity in Antarctica and the Southern Ocean. 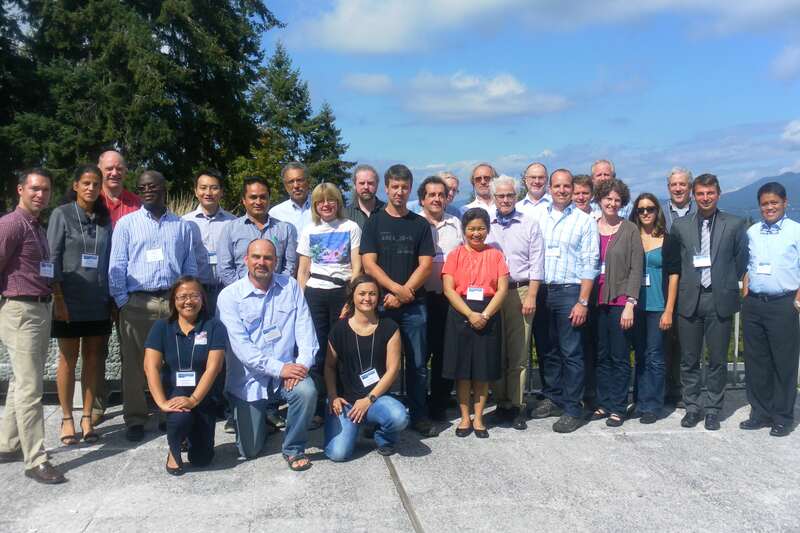 A group shot from the 2014 FishBase Symposium that took place at the University of British Columbia in Vancouver. The 13th annual FishBase Symposium will take place September 1, 2015, hosted by the FishBase Information and Research Group, Inc. (FIN) in Los Baños, Philippines to mark the 25th and 10th year anniversaries of FishBase and SealifeBase, respectively. Convened by Drs Mary Ann Bimbao (FIN) and Deng Palomares, Sea Around Us Senior Scientist, the theme for the Symposium is FishBase and SeaLifeBase for Teaching and Research in Aquatic Science. It aims to promote a deeper understanding of why and how FishBase and SeaLifeBase can be used for teaching and research in the Philippines. 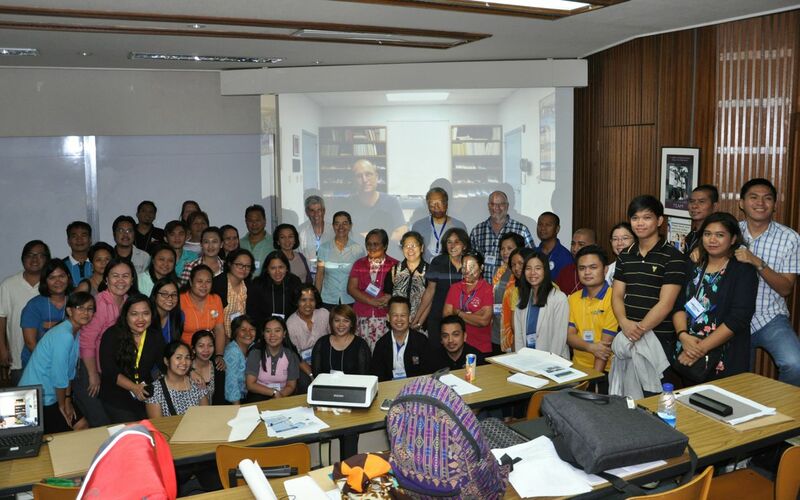 Invited speakers come from local universities and research institutions, FishBase Consortium members who themselves use FishBase in teaching ichthyology courses and offer FishBase workshops regularly, and students from universities and secondary schools in the Philippines. 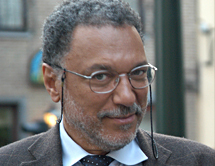 Dr Daniel Pauly, Principal Investigator of the Sea Around Us and co-maker of FishBase will give the keynote address. Dr Dirk Zeller, Sea Around Us Project Manager, will also attend the Symposium. Other anniversary celebration activities include a poster exhibit of FishBase and SeaLifeBase, a book-giving activity to local libraries, students’ hands-on orientation on FishBase and SeaLifeBase and an art competition expressing underwater relationships and connections. Pauly accepted the award on May 14 at the eighth annual awards ceremony at the Carnegie Institution of Science in Washington D.C. The awards team noted Pauly has become a world leader in identifying overfishing as a threat to marine ecosystems and global food security — and that he’s an outspoken advocate for taking corrective action. “Since I am a marine biologist and fisheries scientist, this means that throughout my career, I have tried to create concepts, models, software and databases that enable colleagues to do their work more effectively,” Pauly said in his acceptance speech. The Peter Benchley Ocean Awards acknowledge outstanding achievement, and the only major awards program dedicated to recognizing excellence in marine conservation solutions across a wide range of sectors. Other winners this year included The Economist, Secretary of State John Kerry, and Prince Albert II of Monaco.